Bulk and wholesale special pricing arrangements available for all of our products! If you own a business that builds ammo can based products, a gun shop or just love ammo cans so much that you want to put together a bulk ammo can deal, please message us through the contact us page or email sales@cleanammocans.com. Cleanammocans.com provides high quality, once-opened, top-quality USA made ammo cans for less than the price of new cans purchased through the wholesale distributors. In addition, our ammo cans do not require re-painting and cleaning like military surplus ammo cans sold through government auction. Take advantage of reduced per unit shipping cost with bulk ammo cans from Cleanammocans.com. Bulk ammo cans and bulk stripper clips are palletized and shipped motor freight without any extra handling charges. We can build out a pallet of ammo cans or stripper clips and have it delivered to your door using our preferred carrier or on your account using your carrier in many situations. UPS Ground shipping is great for small to medium orders, but the shipping expense adds up quick on large, bulk orders. 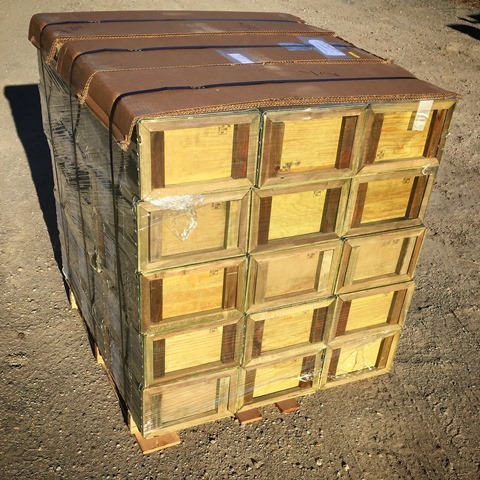 Let us build out a pallet of bulk ammo cans or bulk stripper clips and ship it on our account for the most economical delivery possible. For more information about bulk purchase pricing, freight quotes or wholesale purchase of any of the products advertised on cleanammocans.com, please feel free to reach out through the contact us page or email sales@cleanammocans.com.